Conquest Fitness Foundation and The Greater Lansing Sports Authority have teamed up to improve community wellness by eliminating barriers to sports and encouraging our residents to get outside and play. 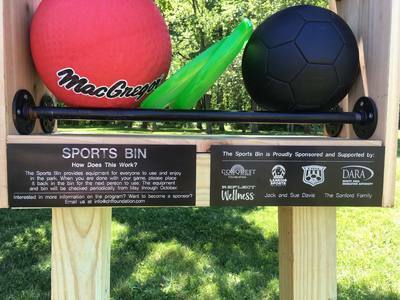 The equipment is stocked in the bins and there for use while in the park. 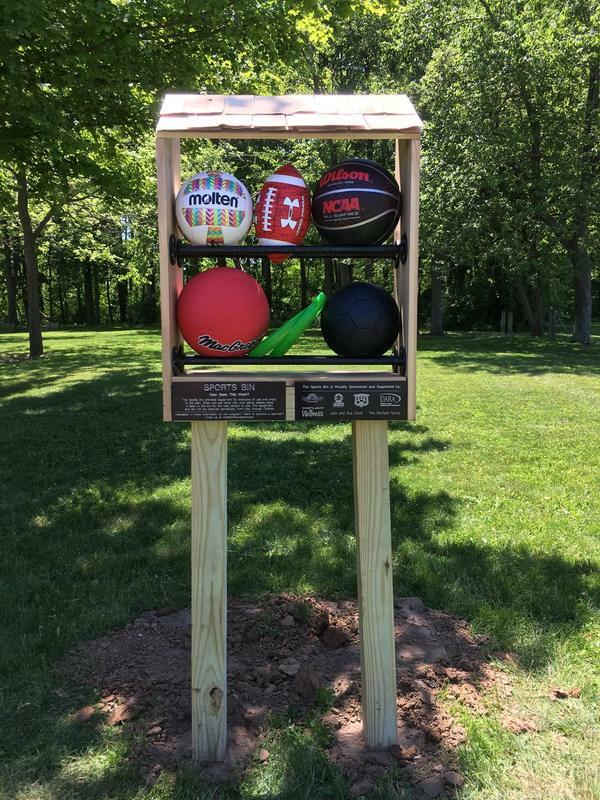 Before leaving the park, community members are asked to place it back for the next person to use and enjoy! 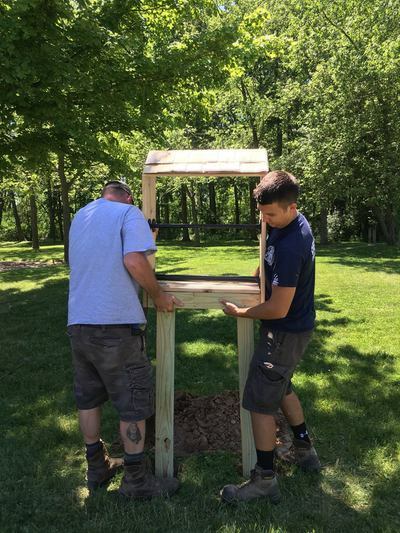 A special thanks to Waylon Sanford for building the bins. Be sure to check out our Donation Program! Contact Program Director Kalea Sanford at kalea@conquest-fitness.com for further information. 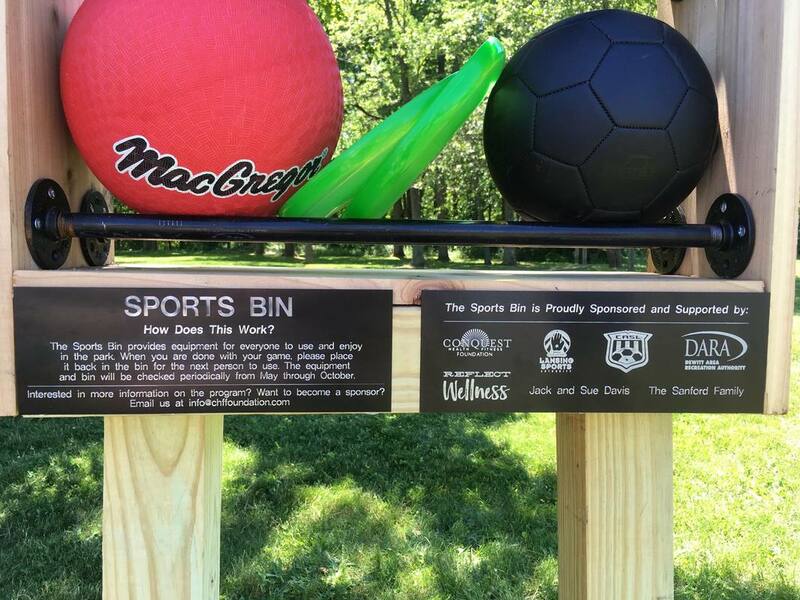 Sports bins are located at valley farms in dewitt & Ferris and FRANcEs parks in Lansing, MI. 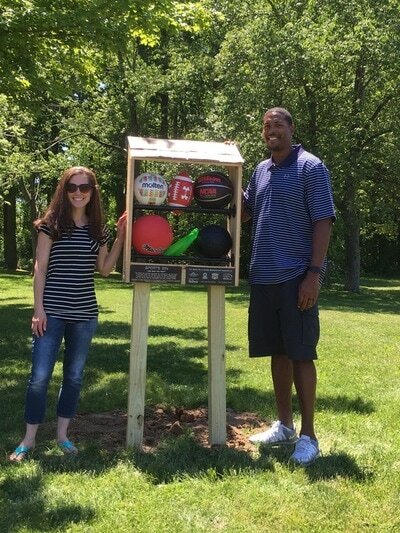 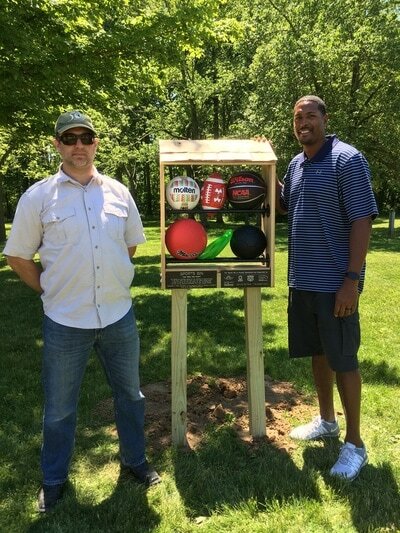 ​The first bin was installed on June 8 at Valley Farms Park in DeWitt Charter Township.